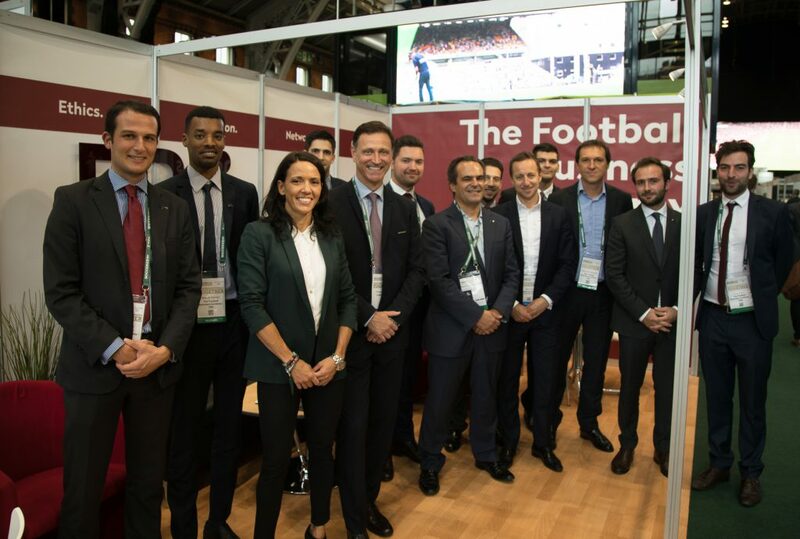 One week ago Soccerex provided the platform to launch the 1st Edition of The Football Business Academy (The FBA), formed by a group of candidates from diverse origins, cultures and backgrounds. The candidates had the opportunity to be exposed to one of the best global football business platforms, a unique environment for learning and accessing great sources of knowledge, trends and networking opportunities. This edition of Soccerex impressed in many ways by including crucial topics influencing today’s football development and business scene. Starting with the European Freestyle Championship – a taste of how far innovation and creativity can go with a great showcase of “superhuman” talent – deriving to other intensely debated areas such as: technology, athletes and players’ branding, the future of broadcasting rights, transfer market, racism and discrimination in football, women’s football and bridging the salary-gap in favour of female players among others. Meeting CONCACAF Secretary General, Philippe Moggio, whose core mission today is to unite football in the CONCACAF region and bring forward crucial reform measures to ensure sustainable development across the member associations from the Caribbean, Central and North America. Exciting times for CONCACAF as three of its members bid for the FIFA Men’s World Cup in 2026 uniting efforts between Mexico, Canada and the United States. Mr. Moggio also confirmed to the students CONCACAF’s stand to bring forward the women’s game as one of its key priorities. Football today is perceived by many with a negative light. The FBA candidates had the opportunity to meet in person and talk with Manchester United player Juan Mata, a revolutionary whose will to make good through football is certain to shed a bright light in the game. Juan Mata has partnered with streetfootballworld and together they have launched Common Goal. Speaking about the initiative, the football star mentioned how important the role of footballers is to change the perception of football across the world. A unifying effort to bring male and female players together in order to raise awareness and unlock a global impact and bring the sport to those less privileged across the world. Going beyond football development, the impact of such initiative could bring greater transparency about how funds can be invested and create a strong network of players that give back to the game. A truly special moment for all of us who heard Juan Mata about his aspiration to change the world, deliver social impact and above all fulfill the dream of girls and boys around the world to play football and grow in better conditions. It is rare to come across someone as visionary and pure hearted as Juan Mata in today’s sport world. A leadership lesson for everyone to follow – the idea that making a global impact is reachable to all. Our efforts can be perceived as small; however, as long as we are bringing change and have the drive to take forward our passion and purpose, the power to influence will get stronger.